Our emphasis is on prevention and early treatment. We will devote attention to showing you and your child how to control cavities and gum disease through home hygiene and dietary control. Our practice has been around for 30 years and is comprised of a pediatric dentist and orthodontist. We welcome the opportunity to get to know you and your child better. Here is some information about us, and if you have any questions or concerns, please contact us at anytime or click here to request an appointment. Dr. Silvestro Iommazzo joined our practice in December 2015 and is a board qualified specialist in Pediatric Dentistry, who specializes in the dental treatment of infants, children, adolescents and patients with special needs. Dr. Iommazzo strongly recommends that every child be seen by a Pediatric Dentist by age one. Dr. Iommazzo received his Dental degree (Doctor of Dental Surgery) from New York University College of Dentistry. He completed a general practice residency at Jamaica Hospital Medical Center in Jamaica, NY and completed his specialty training in Pediatric Dentistry at Montefiore Medical Center in the Bronx NY. Dr. Iommazzo was the Director of Pediatric Dentistry at Jamaica Hospital Medical Center and was attending on staff at Montefiore Medical Center. He is currently on staff at Greenwich Hospital. Dr. Iommazzo grew up in the area and now lives in the area close by with his family. He enjoys spending time with his family and fishing and is a big fan of Marvel comics. Dr. Iommazzo may be reached for appointment or consultation at 203-698-0794. He is on call 24 hours per day, seven days per week for dental emergencies and oral trauma. Dr. Pardi received his Doctor of Dental Surgery degree from Columbia University College of Dental Medicine in 1990 and numerous awards, after receiving his BA from Columbia College, Columbia University in 1986. Dr. Pardi then completed his Post Doctoral Specialty in Orthodontics at Columbia University’s College of Dental Medicine in 1992. Dr. Pardi has been in private practice in Greenwich, CT (Riverside) since 1996, and before then was in nearby Stamford since 1995. 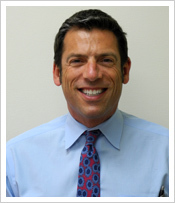 Dr. Pardi has been on the faculty since 1994, and currently is an Assistant Clinical Professor, Division of Orthodontics, College of Dental Medicine, Columbia University. He is also a past president and continues to serve on the executive board of the Orthodontic Alumni Society of Columbia University. He is a member of the American Association of Orthodontists, Northeastern Society of Orthodontists, Connecticut State Society of Orthodontists, American Dental Association, Greenwich Dental Society, Seattle Study Club, Invisalign Study Club, and the Northeastern Damon Study Club. 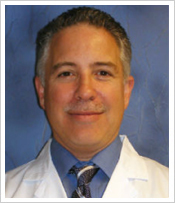 Dr. Pardi has resided locally since 1995 and enjoys long-distance swimming and sailing in the summer and skiing in the winter.